We're back with our series Inside Atlanta—each week, we sit down with influential locals to talk about what Atlanta means to them. 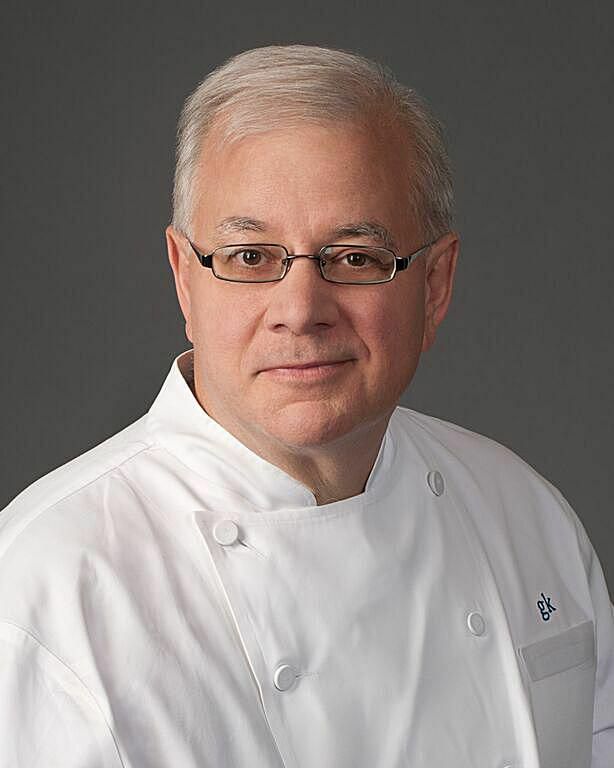 Today we’re chatting with Gerry Klaskala, chef-owner of Buckhead’s Aria. Klaskala’s other claims to fame include graduating from the Culinary Institute of America, co-owning Canoe in Vinings and having his award-winning cuisine featured in big name publications (think Bon Appetit, The New York Times, USA Today, Esquire and many more!) As a founding chef of the Atlanta Food and Wine Festival and a member of the Vidalia Onion Committee Chef’s Board, Klaskala claims deep roots in Atlanta. Today we get a tour of The Big Peach lead by Klaskala himself. I live in… Sandy Springs, which means I can practically get to anywhere in Atlanta in 20 minutes. I wish people knew… if you work odd hours, Atlanta doesn’t have a traffic problem. I leave the house to go to work at 9 a.m., and I leave work to go home usually 9:30 p.m. or later, [so] I never experience sitting in Atlanta traffic. You can find me… at home cooking up a storm for family or friends (when I’m not at Aria—which is seldom). It’s dinner time, I’m headed to… Kevin Rathbun Steak, which is the go-to for the best steak around; Gu's Bistro is best for the dry fried eggplant and chilled noodles [Editor’s Note: Gu’s Bistro has since closed, but you can find chef Gu’s food at Krog Street Market—his stall is called Gu’s Dumplings. ]; Sotto Sotto is great for pasta; Go to Canoe for the best brunch in the city; If you want get out of town, head to 5 & 10 in Athens for some tasty cookin’ (I hear the football is pretty good, too). Clock strikes 5 o’clock, I’m drinking… Jack Daniels, ginger ale and a squeeze of lime, my go to. My favorite bar in town is Kimball House, where you can only get the kind of drinks that Miles Macquarrie and his crew make. If I had to stay in a hotel, I’d check into… The St. Regis in Buckhead. The service is fantastic [Note: Klaskala is also a consulting chef at Atlas, which is housed inside the hotel]. Atlanta’s best kept secret is… Highlands, NC. It’s the best kept summer secret in Atlanta. It’s only two hours away and 10-15 degrees cooler. If you’re going for the first time, drive in from the west; from Franklin, NC on Route 64. It’s like Yosemite National Park on the East Coast. When I’m playing tourist, I go to… Stone Mountain. I like to show my guests Atlanta by hiking to the top and checking out the view. The Atlanta Botanical Garden will leave you filled with Atlanta pride, and I have been to the Georgia Aquarium so many times I know all the fish by name. I get my sweat on… either at Cochran Shoals on a three-mile nature walk along the Chattahoochee River, or I walk the Beltline and check out my city. I love spending my money at... South of Market in Peachtree Hills. It has the coolest stuff.